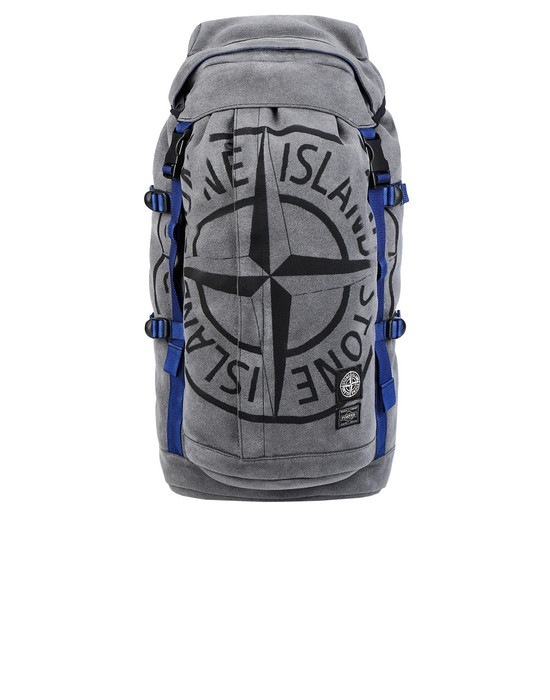 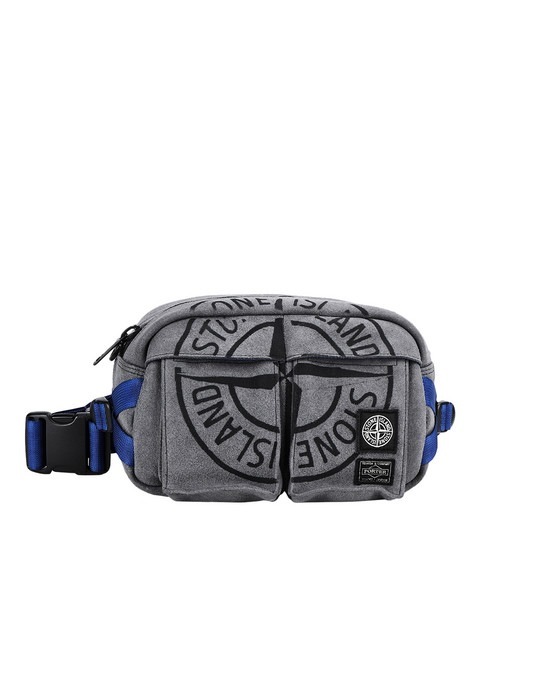 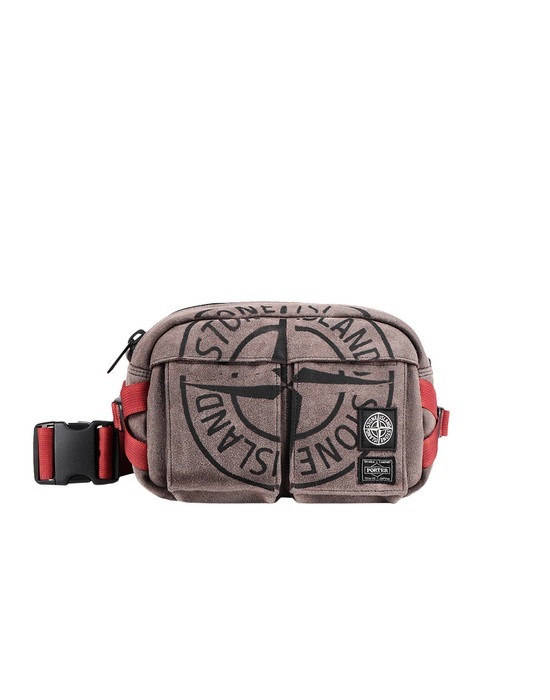 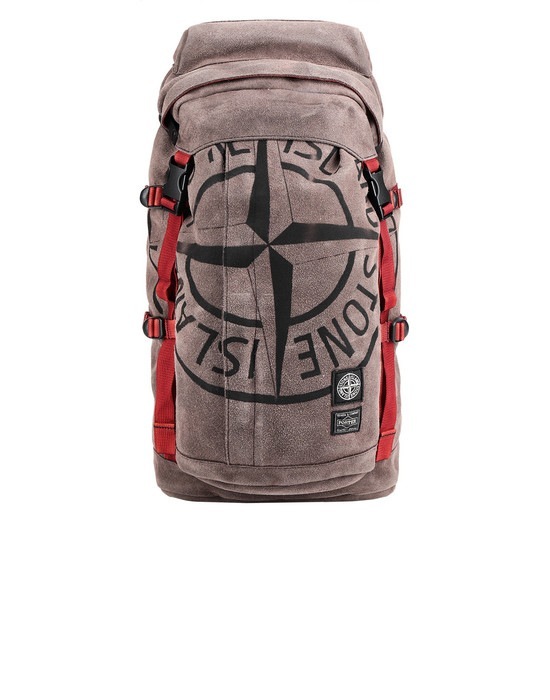 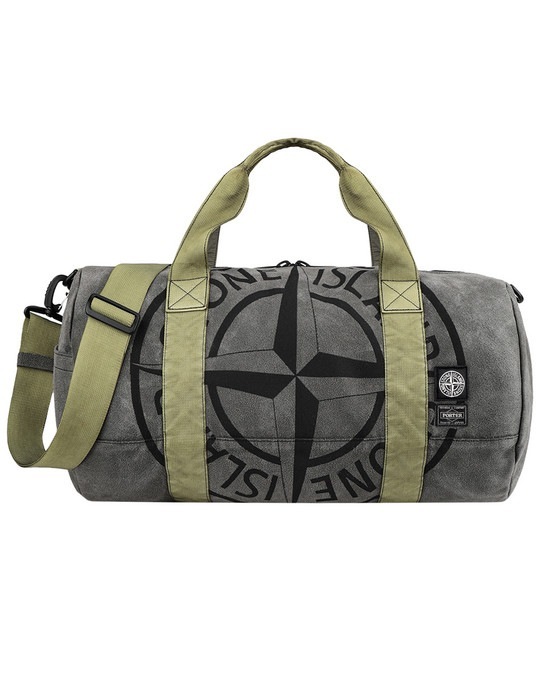 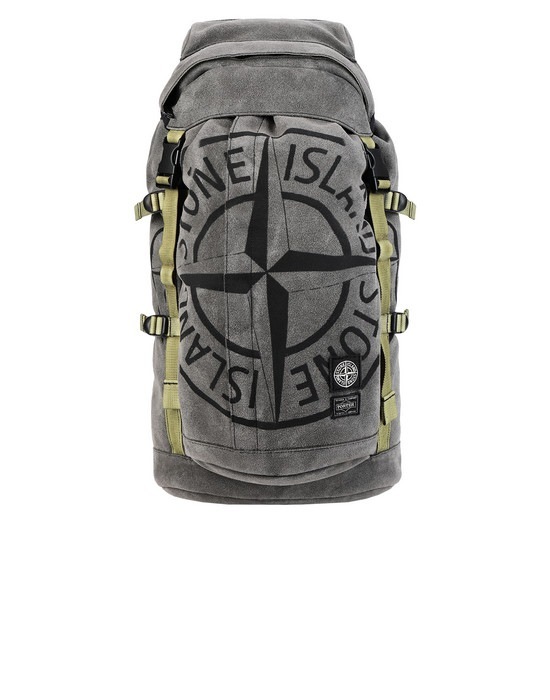 Bumbag, backpack and duffle bag in MAN MADE SUEDE, a non-woven fabric, developed by Stone Island, made with nylon microfibres and polyurethane resins engineered through a complex industrial process, impregnated with resins and coagulated. 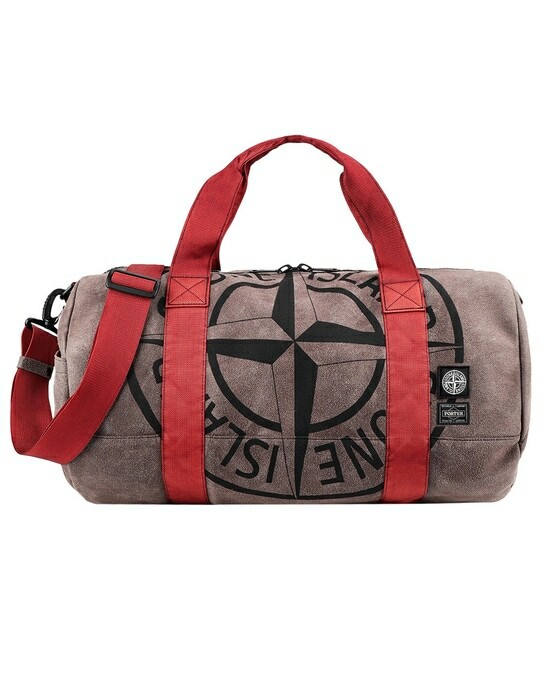 The result is a substrate which is lightened through washes dissolving the polyethylene component. 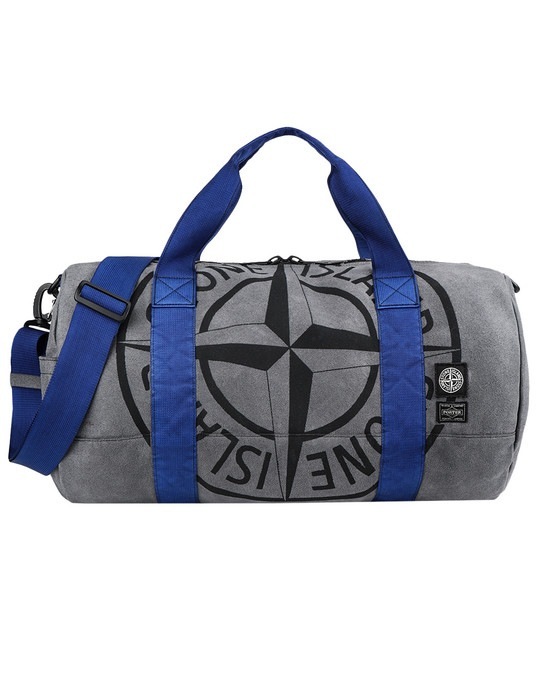 The material is then treated to achieve the final suede aspect. 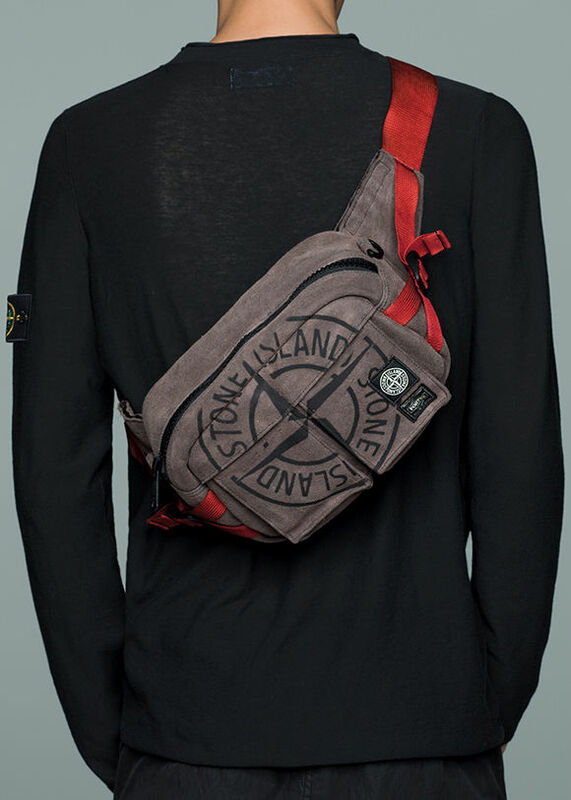 Three models made in Japan by Porter®, dyed by STONE ISLAND in Italy with the specific textile dyeing and ennobling technology recently engineered. 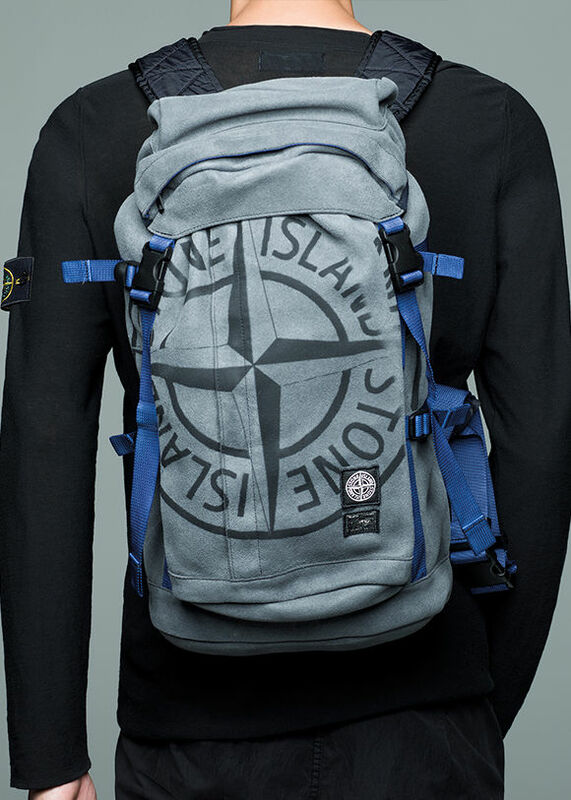 Laser print of the Stone Island Compass logo, made on the finished product.